Poster with an adorable, seal like little figure that peaks out of the water. 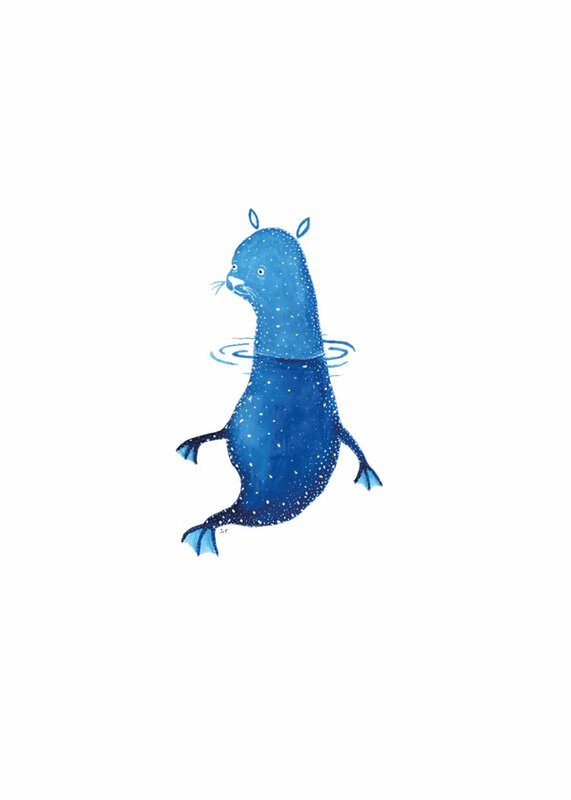 Curious, a little wondering, it peaks its head over a water surface that we can only sense. Do we see inspiration from Tove Jansson and her characters? Print from original in gouache by illustrator and graphic designer Annie Hjälmefjord. Fantasy animals are a favorite motive of Annie’s. And ours! Perfect as a children’s poster or art for the kids’ room if if you frame it.